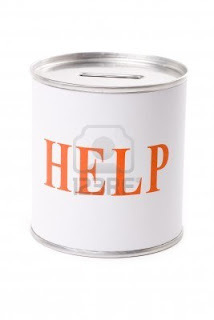 Please guys, we are desperately seeking ongoing donations. Jen was kind enough to hold an online auction for us which cleared our $3000 monthly vet account and our $2700 feed bill. Sadly, we have racked those bills up again because we are just not getting the weekly donations that we need to keep the rescue afloat. We have 6238 members on this page and if only half of you donated just $2 per week that would cover all of our bills and free up our time and finances to rescue twice as many horses as we currently have in care. Imagine that? Twice as many horses lives being saved just by half of you donating just $2 per week.. What will $2 buy you? Not even a coffee… not even a chocolate bar…. Not even a soft drink…. However with that $2 we can have twice as many horses in care – rescuing them from abuse, neglect and the slaughter houses! PLEASE guys… just $2 per week will help us help these amazing animals giving them a second chance at life and love. Please donate now, set up a direct debit for $2 per week or $8 per month and email me saveahorseaustralia@yahoo.com.au with your details so that I can provide a tax receipt. Remember that every donation over $2 is fully tax deductible and we are fully registered and sanctioned by the office of fair trading. We are one of only two fully registered horse rescue charities in QLD (the other being Charlies Angels Horse Rescue) that assist all breeds of horses.